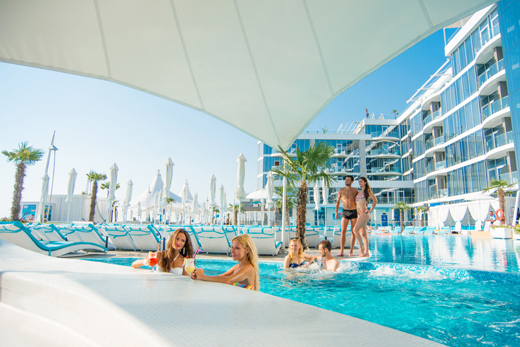 Luxury beachfront complex NEMO offers a diverse range of services from May 1 to October 1. 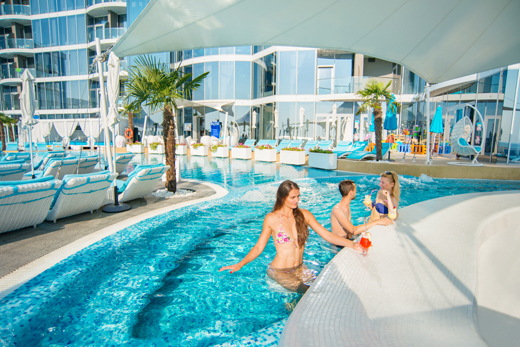 We offer you to plunge into the pleasant atmosphere of quality rest and relaxation. Swimming pools with heated sea water, whirlpool hot tub, relaxing massage in the cool tents, panoramic terrace for sea and sun bathing, restaurants with cuisine to suit all tastes, professional animation for children and adults, water aerobics, comfortable access to the sea and, of course, the dolphins with which you can swim, dive, or just watch them lying on comfortable loungers. 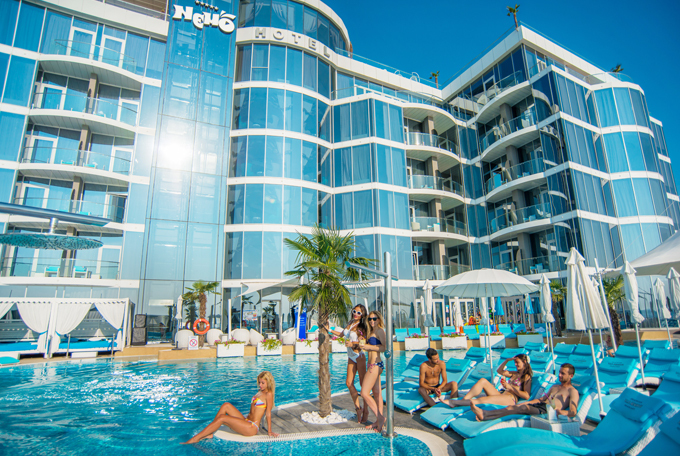 NEMO Beach Club — a beautiful vacation to the beautiful people! The price includes: chaise longue, towel, umbrella. 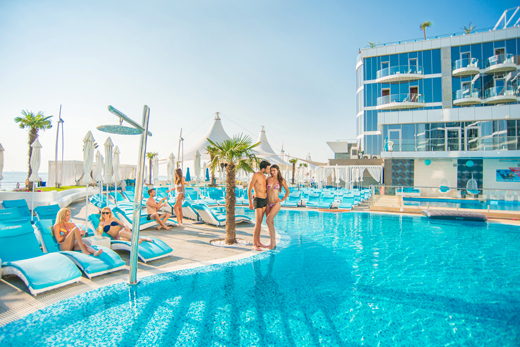 We work for you from May 1 to October 1 daily from 8:00 to 21:00.